Here is Mandy with her very own new toys!! She loves to carry them in her crate! Congratulations to Buck, who was adopted by Debbie Mack Piccirilli. He is settling in very well so far into his new home...here he is on the right with his brother Mo and his new grammy! He slept all night in his new bed and loves attention....so far so good! And special congratulations on Foster Mom Justine Winkler on her first foster! You did a great job! 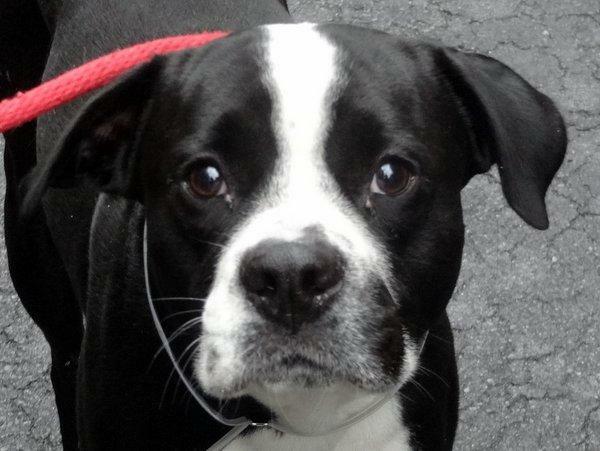 Buck was an abused puppy from North Philadelphia and has permanent damage to one of his eyes. He also came with health problems, and Justine nursed him back to health, and showed him what love is. Romeo has turned the corner of his depression and anxiety. His foster Mom wears a little bell so he can follow her everywhere. He is even now playing with his many toys that generous people have sent to him. Of course, the bully sticks are still has favorite form of entertainment. He was such a sad and frightened little man for so long we were afraid he was never going to adjust to his blindness. But, we are happy to say that he has. Thank you so much for following Romeo's story and helping us to give him the life he deserves. Congratulations to Jordan, who has found his forever love with his foster Mom Jane Arlin. Jordan was too special of a boy for her not to keep, and we know he will have the best care for the rest of his life. Jordan has hit the doggy powerball! Congratulations to Tyson, who has been adopted by Jane Mangini. Much love to this special boy and his family. Here he is on his first day boating. Jane says, "Thank you NEBTR!" Foster girl Star loves her lookout on top of our swingset! She watches our neighbors. She truly is on top of the world! If you are going to travel with your dog by air, contact the airline at least two weeks in advance to check their dog travel policy and make arrangements for your dog to travel. Many airlines will not allow brachyocephalic breeds like the Boston Terrier to travel in the cargo compartments. 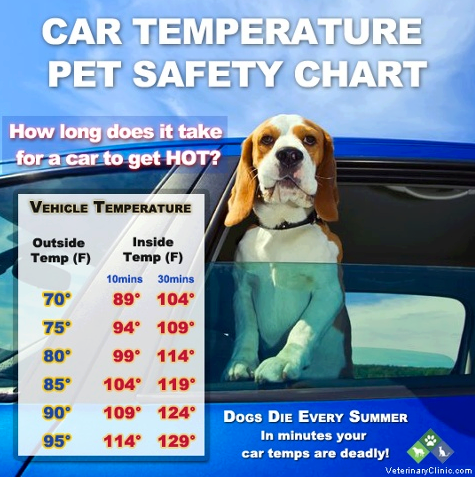 Based upon the weight of your dog, it may or may not be able to travel in the cabin in a soft sided carrier. Be sure to tell the airline that you have a Boston Terrier so you get very specific dog travel information and don't end up with a surprise on the day of your trip. You may also need to get a health certificate, which usually needs to be issued within 10 days of your departure. Your Boston will need to travel in a carrier that is airline-approved. Most pet supply stores carry them. If your BT is not used to being in a crate, spend some time before the trip getting him accustomed to it. Try to get the most direct flight possible. If you will be flying on a commuter plane during the trip, call them to confirm that they will carry dogs (some do not). On the day of travel, you will want to withhold food for about 12 hours prior to departure and water about 1 hour ahead. 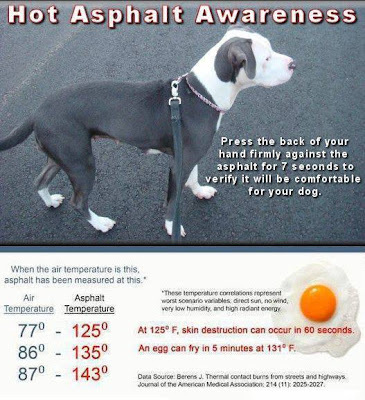 Make sure your Boston is wearing identification including your name, phone number and city. You may also want to carry emergency instructions with the name and phone number of a friend or relative, your Make sure your Boston is wearing identification including your name, phone number and city. You may also want to carry emergency instructions with the name and phone number of a friend or relative, your veterinarian's name and contact information and any notable medical information. And, don't forget his first-aid kit. Is A Boston The Dog For You? 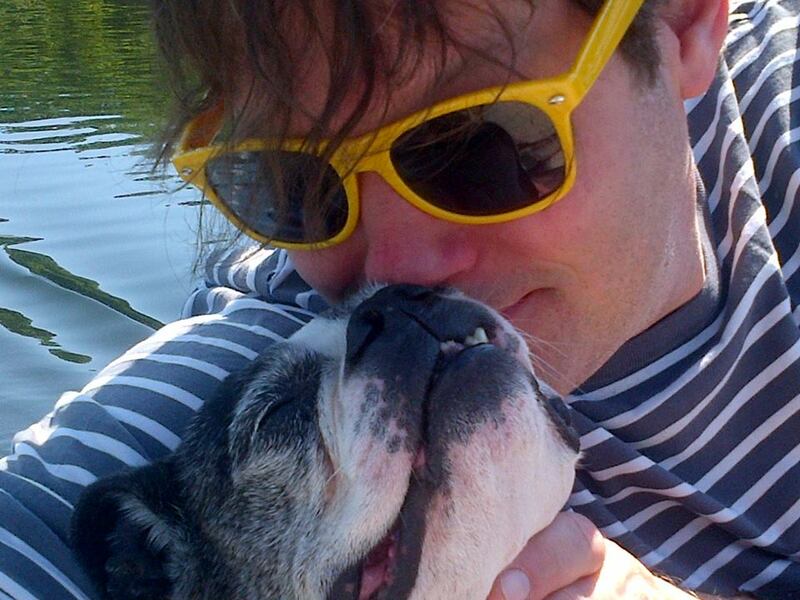 Your BT will reward you with years of unconditional love, but it IS a lifelong commitment. We know you'll want to provide your Boston with the best possible care, so we've outlined some of the basics here. The Boston Terrier was bred to be a companion dog, and they usually do well with children and other pets. Bostons are "people dogs" that require a lot of time, attention and human contact. They quickly become part of the family, and are happiest when theyre around people. So, if you're not able to be with your Boston much, they may become bored and find activities to keep them occupied like chewing, digging, biting, jumping or barking. 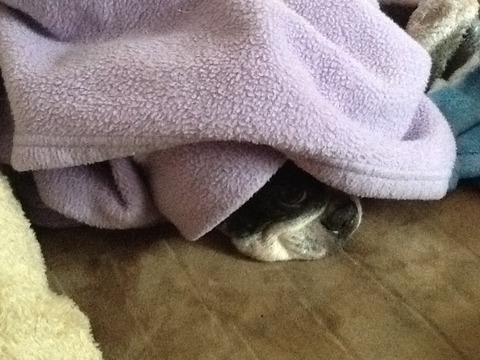 Boston Terriers are highly intelligent and learn quickly. Their spirited and playful nature does require some basic obedience training (or corrective training if he develops one of the undesirable habits mentioned above). The average life span for a Boston Terrier is about 10 to 14 years. He will require immunizations and regular veterinary care to ensure he doesn't have worms or develop a health problem. You'll want to have a dog first aid kit on hand in case he gets hurt. Can you make the time, energy and financial commitment to a Boston for the duration? Do you frequently travel? Will your BT travel with you, or will he require boarding or a pet sitter? You'll need to take steps to identify your Boston. What will you do if he gets lost?. Although Bostons have short hair, they do shed some. Are you prepared for other grooming activities such as bathing, dental care, and nail trimming? 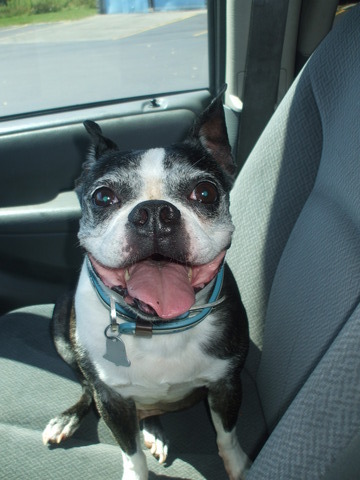 Bostons require protection from the heat and cold due to their brachyocephalic (flat-faced) heads and short coats. Are you prepared for an inside dog? 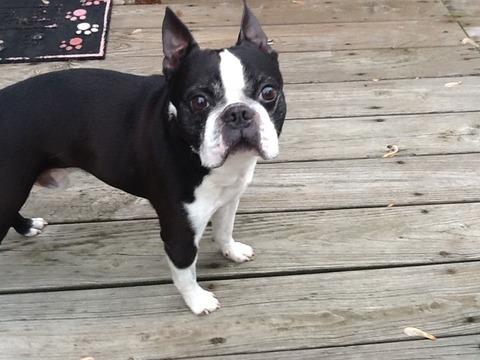 Bostons are active, love to play, and require regular exercise. Do you have a secure place for him to play? Although they tend to be very loyal, Bostons love people and can easily stray if left in an unsecured area without a leash. 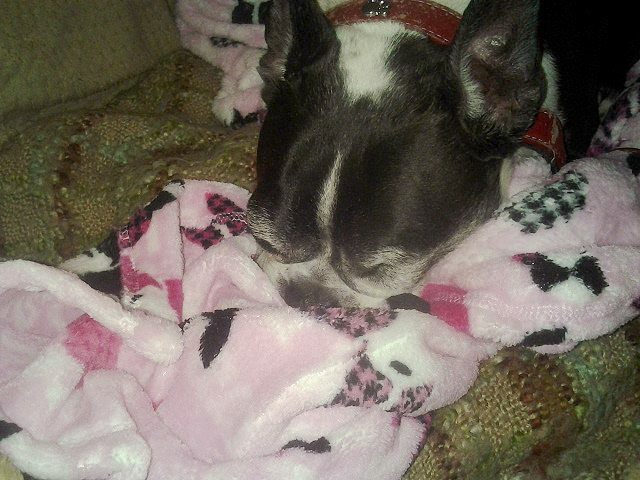 Good Boston Terrier care also includes proper nutrition. To help keep your dog healthy, feed her the best nutritionally balanced food that you can given your budget. And, be sure she has fresh, clean water available at all times. Most importantly, be sure that all the members of your family are 'on board' before bringing a Boston in to the family. They should only go into a home where everyone welcomes him and cooperates in caring for him. Congratulations to Cocoa Puff who has been adopted by Eugene Codey. Much love and good wishes to all! An alternative to having travel with your dog is to board him. Your veterinarian may be able to recommend a good facility, or even a pet-sitter. Some larger pet clinics offer boarding, or have technicians that will pet-sit or board canine patients in their homes. Boarding kennels will ask for proof of vaccination for DHLPP, rabies and bordetella. The bordetella vaccine should be given within six months of boarding. This is for your dog's protection! If the kennel doesn't ask for proof of vaccination, you may want to consider another kennel. Ask about flea control as well. This can become an issue for dogs that suffer from fleabite allergies. An arrangement that has worked well for us in the past is trading pet-sitting services with a friend or relative. My mom has four pomeranians that we take care of when they travel. In return, she watches our Bostons for us if we go out of town. If you decide on a reciprocal petsitting arrangement, make sure the human relationship can stand it. It can be stressful caring for someone else's pet, and you want to make sure that one person isn't always the sitter without getting sitting services in return. Also, make sure the animals all get along and that your Boston is comfortable with the person that will be taking care of him. In most cities, you can find pet sitters available for hire. If you are planning on hiring a pet sitter, ask your veterinarian, friends and family members for recommendations. Congratulations to Jinx, who has found his forever home with his foster Mom Strausie Stevens. This beautiful senior boy was an owner surrender, and he will love the rest of his life surrounded by love with Strausie. Just want to let you know we have decided to keep our foster, Jinx. I know it doesn't set the best precedent, keeping your first foster, but I had tried to contact a couple of potential families with no success and then we lost our old man beagle. He was a bit stubborn and 13 and Jinx is a bit stubborn and 11 so he fills the hole left by Vance nicely. But truthfully, we are so lucky to have him and so thankful to Robin for saying he might "already be home". Thank you so much!" Congratulations, Strausie, Jinx has a wonderful home with you and your husband. He really is cute, hard to resist that face. Elena's 10th Birthday! It’s the second birthday that she has celebrated with us! Jeff Valois' For the Love of Boston photography project is underway! So far, he has completed photo shoots with ten Boston Terriers and is expecting about 35 total to be part of the book, which will be available either late summer or early fall. Pictured here is Reptar with his best relaxing pose. You can follow Jeff's progress over at http://www.facebook.com/jeffvaloisphoto as he posts weekly sneak peaks from each photo shoot. — with Patricia Siciliano. Congratulations to Obie, who has found his forever home with his foster mom Courtney McDermott. It was a foster placement that made Obie’s dream of a family of his own come true! He's crazy but we love him, 9 months and counting since we adopted Danny. He's doing great, very funny dog.